You could say Sylvia Mackey spent much of her life on the sidelines living in someone else’s shadow – a rather large shadow cast by a six-foot, two-inch, 220-pound football star. You see, since 1963, Sylvia Mackey was married to her college sweetheart, a former NFL tight end who played for nine seasons with the Baltimore Colts (1963-1971), ended his career with the San Diego Chargers (1972) and, in 1992, became the second pure tight end to be inducted into the Pro Football Hall of Fame. “Iron Mike” Ditka of Chicago Bears, Philadelphia Eagles and Dallas Cowboys fame was the first, but Ditka said John Mackey, Number 88, should have been inducted ahead of him. All of that was long before John Mackey was diagnosed with frontotemporal dementia (FTD) in 2006. Soon after, Sylvia Mackey decided to step out of her husband’s shadow. She left the sidelines and took to the field, so to speak, to become an advocate for John Mackey and people like him living with FTD. Sylvia Mackey has been scoring touchdowns ever since. “After the NFL Players Association initially refused to pay disability income that would enable John to stay at a full-time assisted living facility, I wrote the football commissioner to plead on John’s behalf,” Sylvia Mackey says. The league and the NFL Players Association responded by creating the “88 Plan” – named after the number John Mackey wore on his jersey throughout his college and professional football careers. The plan provides $88,000 annually for care at an assisted living facility and $50,000 per year for adult day care – money well spent on players who took to the field long before multi-million dollar contracts were the norm. In 1971, during Super Bowl V, John Mackey was a principal in one of the most famous plays in NFL championship history, catching a pass from quarterback Johnny Unitas after the ball bounced off the hands of receiver Eddie Hinton, grazed the fingertips of Cowboys defensive back Mel Renfro, and landed further downfield into the arms of Number 88, who ran for a then Super Bowl-record 75-yard touchdown reception. (Baltimore won the game, 16-13). In July of 2011, John Mackey passed away at the age of 69 of FTD. Sylvia continues to educate, support and advocate for those caring for loved ones with FTD. 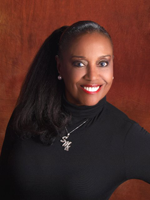 Hear Sylvia Mackey speak during our February Webinar.